I found a post I’d written in May in my drafts folder and realized I had never published it. So here it is, after quite a delay. 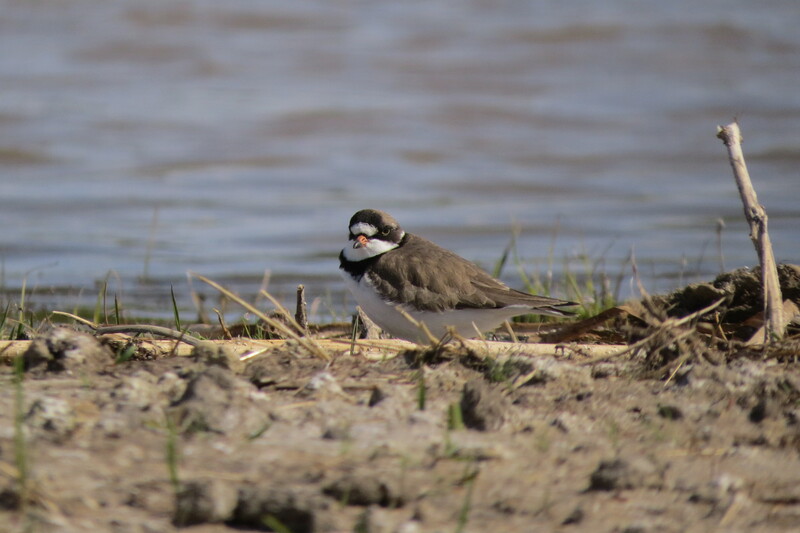 It’ll be another seven months before I see these birds again, but in the meantime I though I should share these photos which I took at the slough across the road from my house. I remember that the day was beautiful and warm. 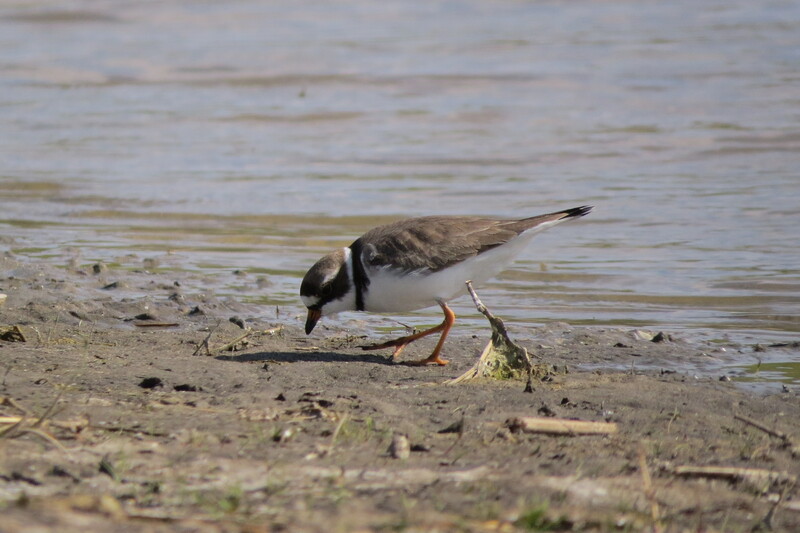 Shorebird migration was in progress and the mudflats at the slough were full of shorebirds. 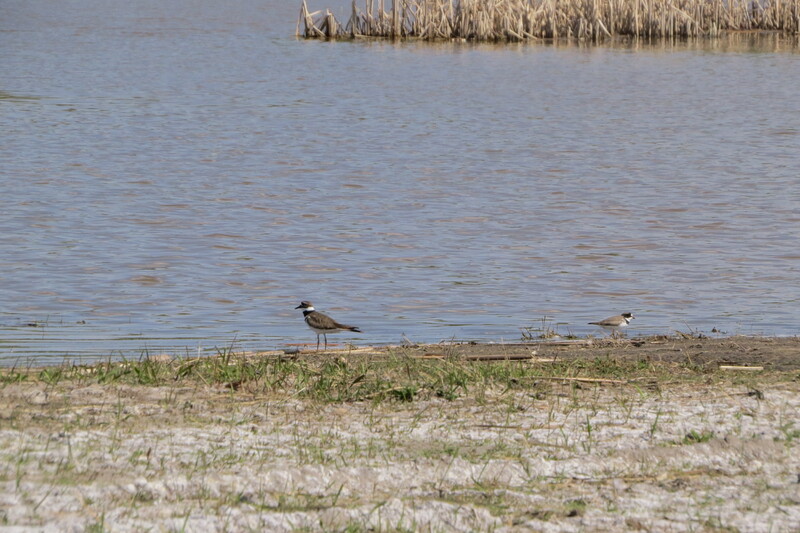 I sat for over an hour watching them feeding, preening, and taking the occasional rest. 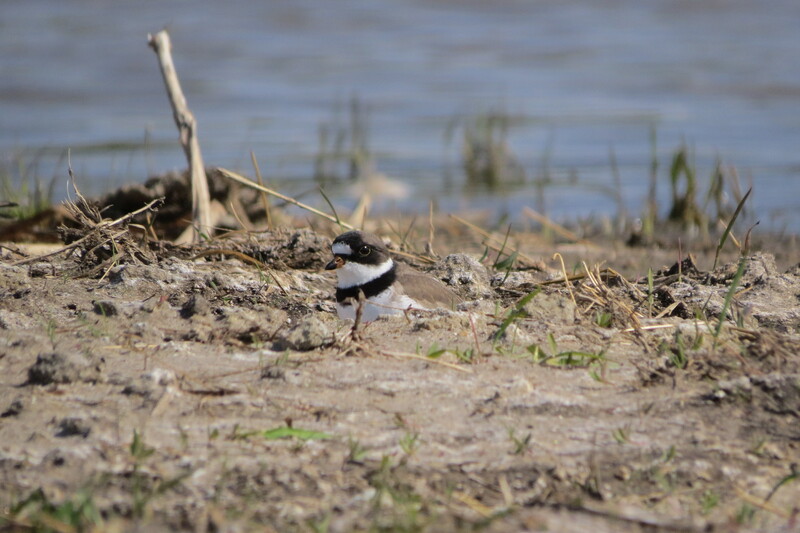 My favourite part of the afternoon was watching the Semipalmated Plovers running up and down the mudflats. 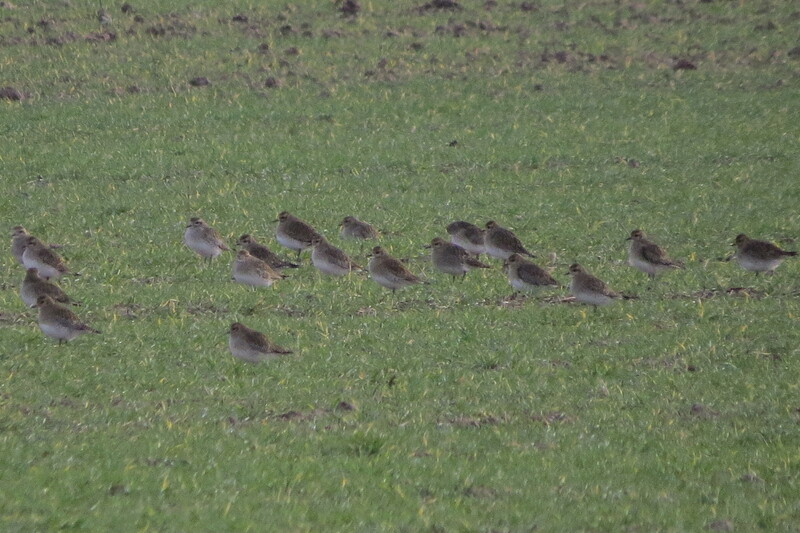 They are beautiful little birds, but difficult to photograph as they are constantly moving. 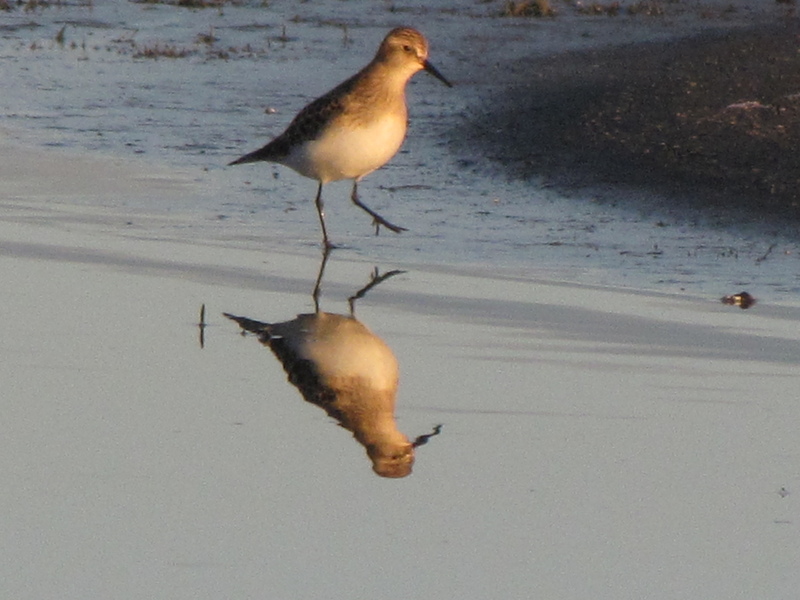 A Shorebird Kind of Day! 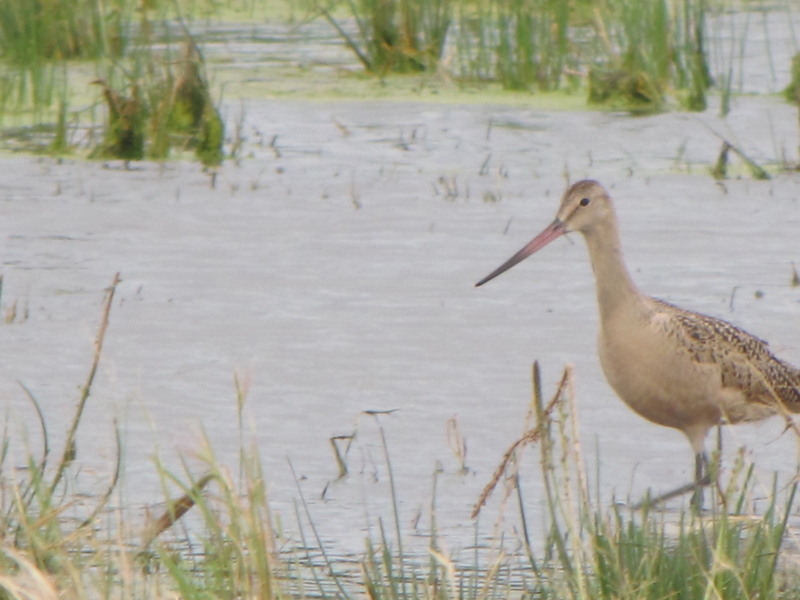 Early Friday afternoon, I took my camera, scope, and binoculars with me to the slough across the road from our house. 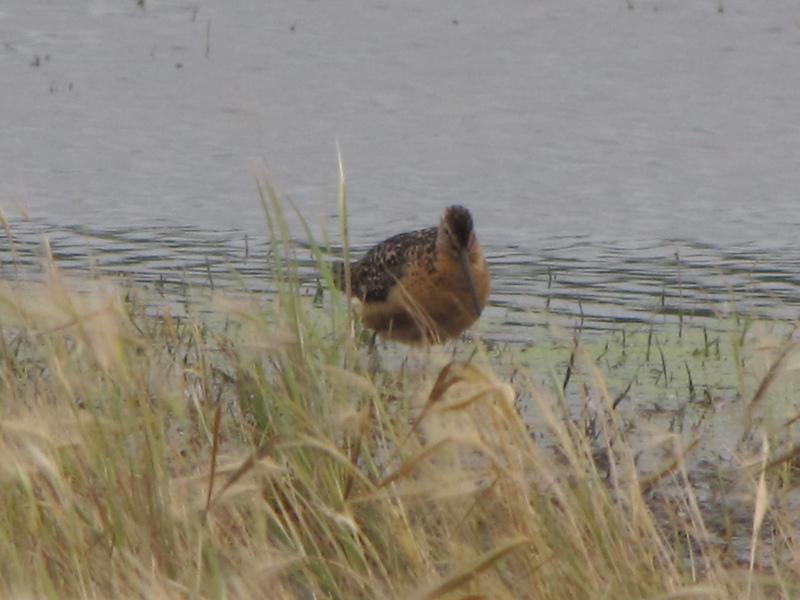 I was hoping to find some shorebirds feeding in the reeds and along the mudflats. 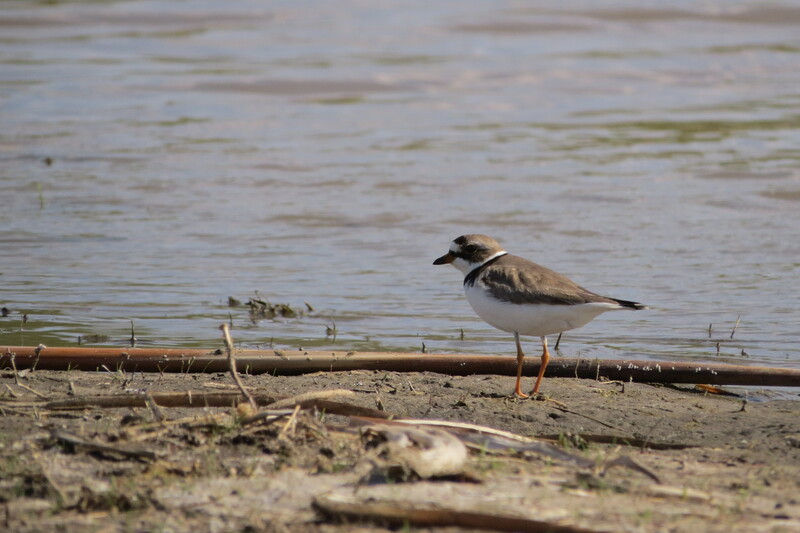 As I got close to the mudflats, I could see two American Avocets, three Killdeer, a flock of Long-billed Dowitchers, eight Lesser and five Greater Yellowlegs. 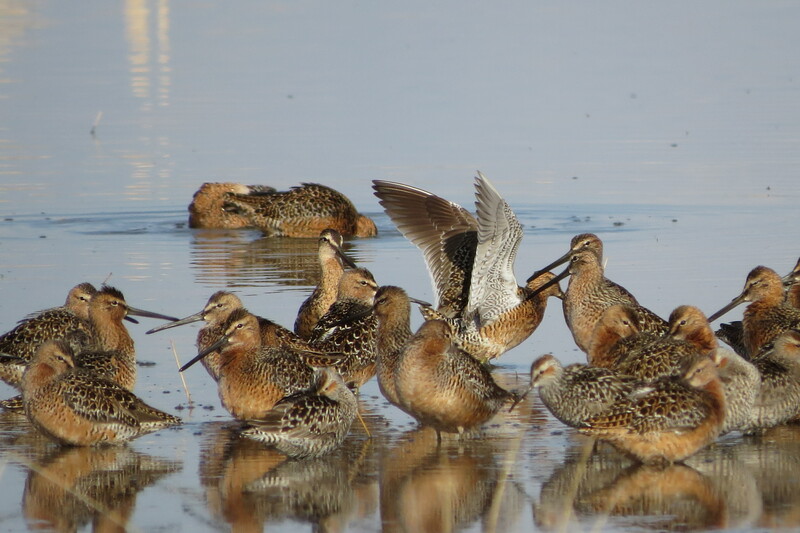 I set up my scope and was looking closely at A large flock of Long-billed Dowitchers, when [as I was looking at them I noticed nine birds that looked different. 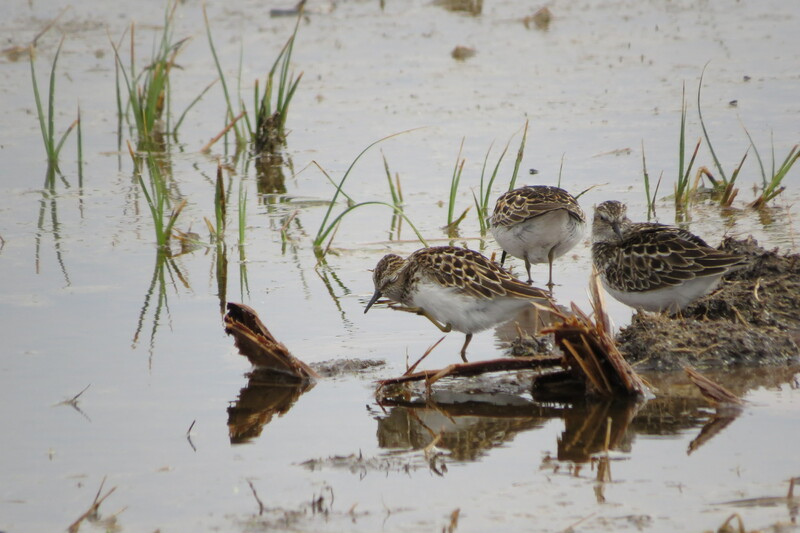 I then realized that those nine birds were Stilt Sandpipers. 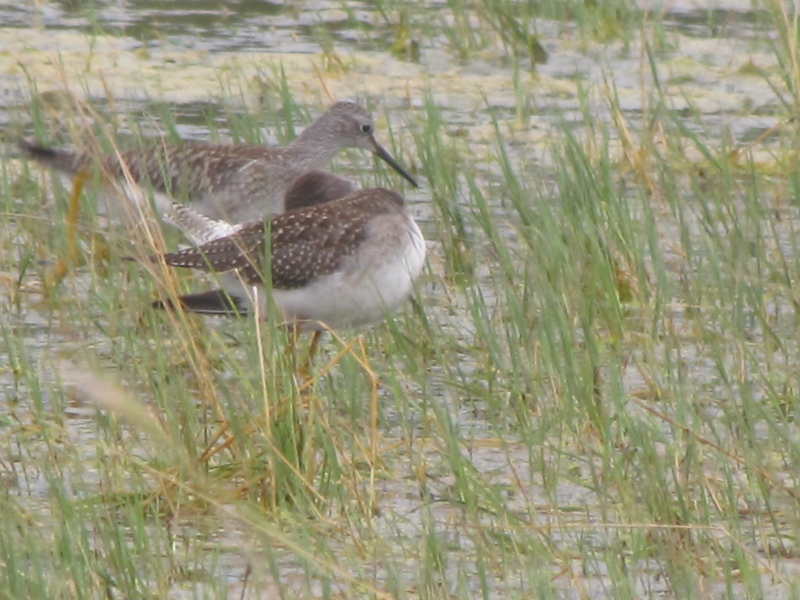 I also was able to find two Willets, six Wilson’s Phalaropes, and seven Least Sandpipers. 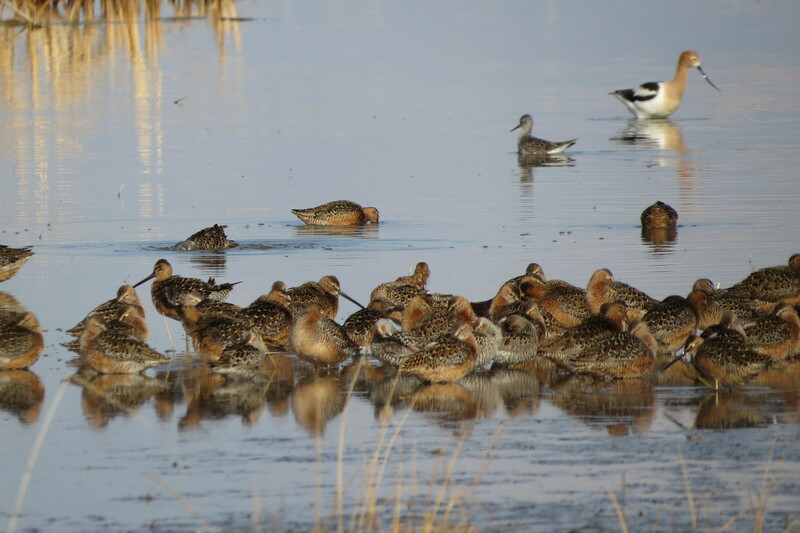 I spent almost an hour looking at the shorebirds and the various ducks on the slough, but had to get home as my mom and I were leaving for town to deliver eggs. Upon our return, I walked back out to the slough, but this time I walked through the woods to the east end of the slough. There were very few birds in the woods, but I saw my “first of season” Least Flycatcher feeding at the top of some poplars. 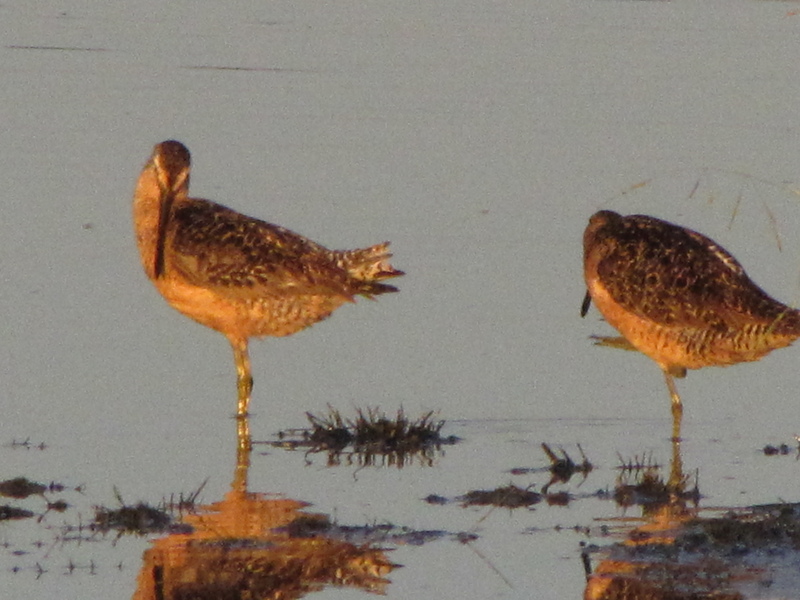 When I walked out of the woods I could see that there were more dowitchers feeding on the north side of the slough. 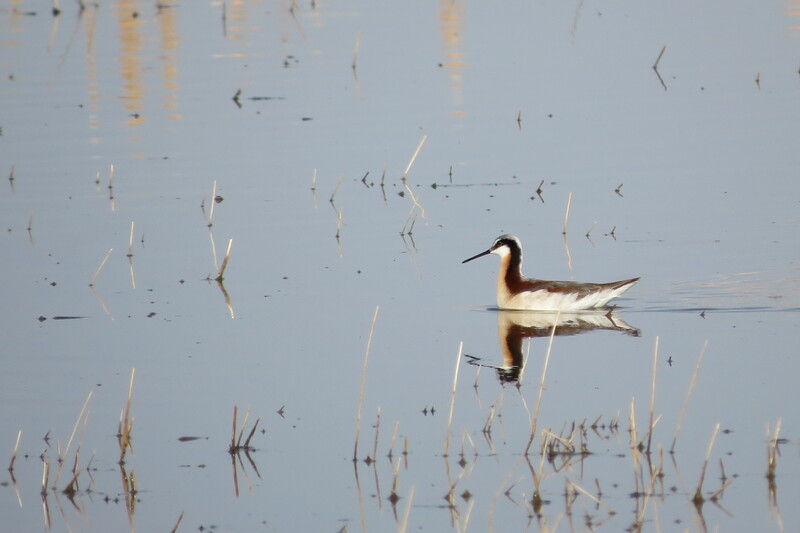 I looked through my scope and was able to see very clearly more than 20 Red-necked Phalaropes feeding with the dowitchers, and also a pair of Cinnamon Teals. 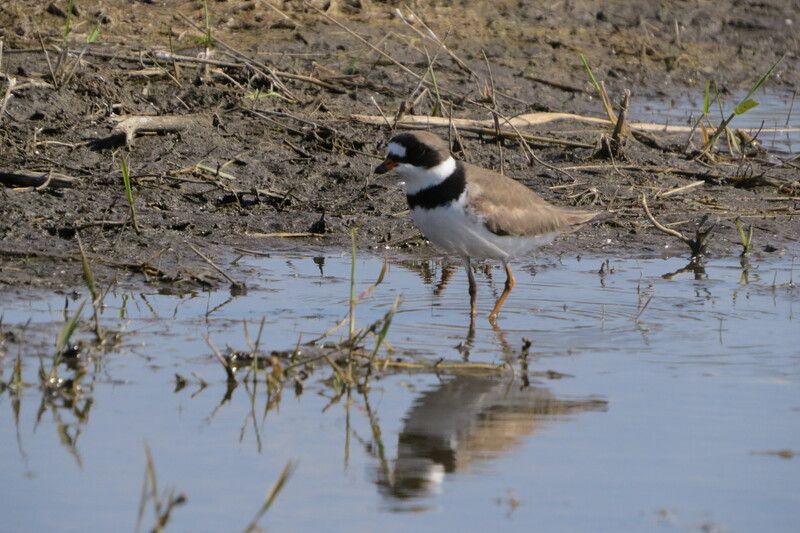 I then looked to the left and saw two avocet-sized birds with bright pink legs, and a black-and-white body — the birds were Black-necked Stilts! 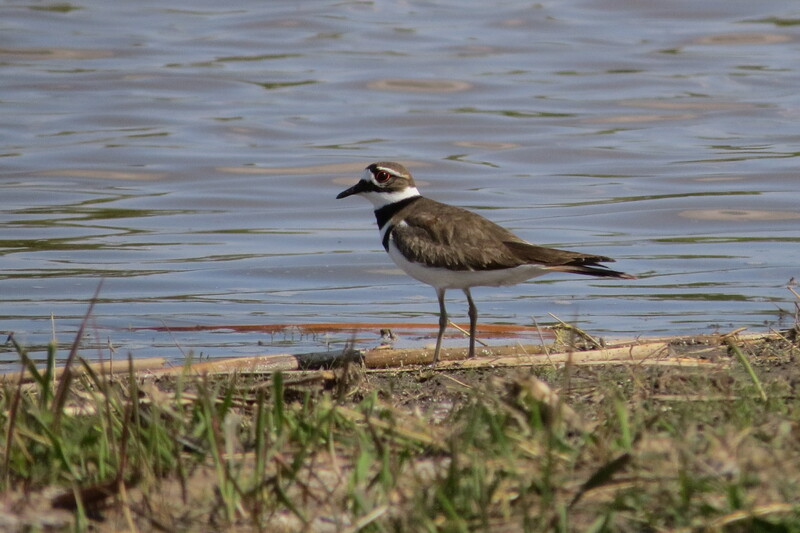 I’ve seen Black-necked Stilts on this slough before, but they’re not very common for this area, so I was so happy to see these beautiful birds again. 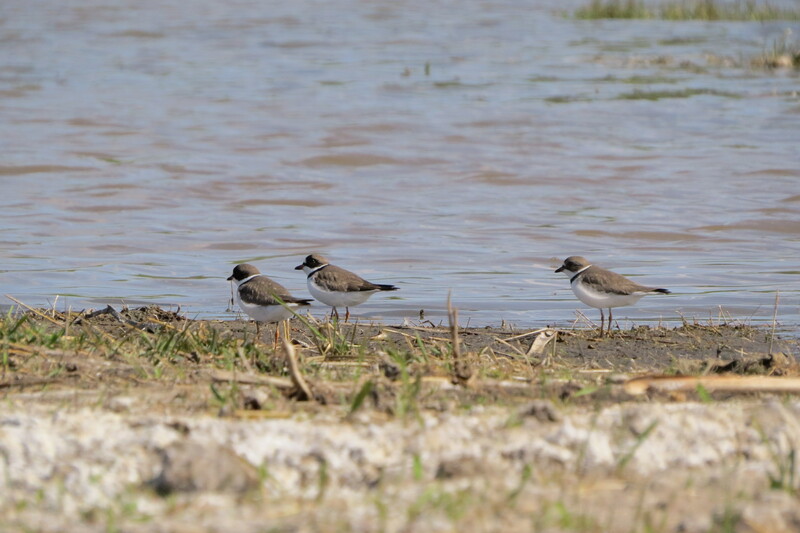 I wasn’t able to get any decent photos of the Black-necked Stilts or Red-necked Phalaropes as they were too far away and the light was very low. 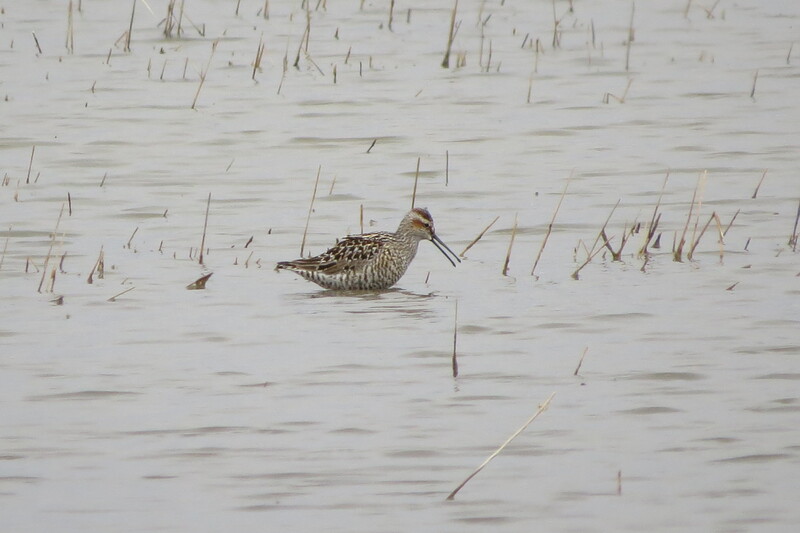 In total, I was able to find 12 species of shorebirds on Friday: American Avocet, Black-necked Stilt, Killdeer, Greater Yellowlegs, Lesser Yellowlegs, Willet, Stilt Sandpiper, Long-billed Dowitcher, Wilson’s Phalarope, Red-necked Phalarope, Least Sandpiper, and Solitary Sandpiper. 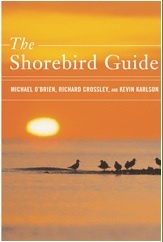 Looking through books online at Amazon.ca last month, my mother found a copy of The Shorebird Guide by Michael O’Brien, Richard Crossley, and Kevin Karlson. 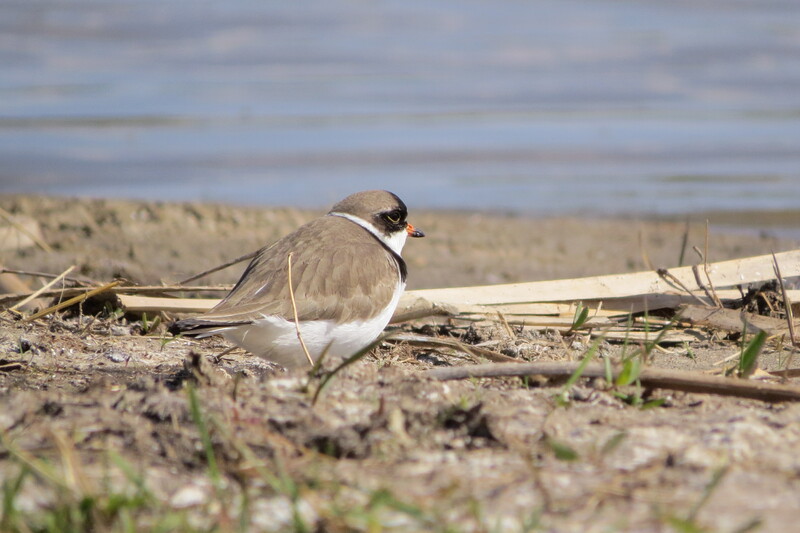 She remembered that I had a copy of Richard Crossley’s The Crossley ID Guide to Eastern Birds and thought I would enjoy this, especially because I came home from YOW talking about the difficulty some of us had identifying shorebirds. 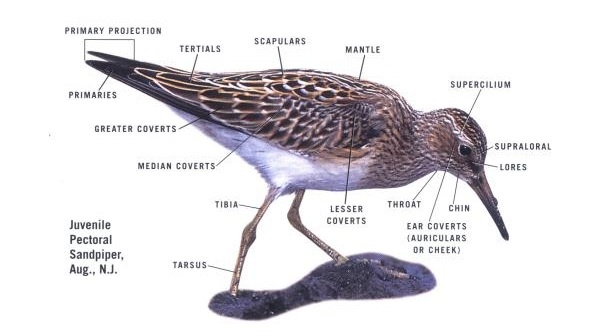 Even though it’s not a new book, published in 2006 by Houghton Mifflin, it’s new to me and incredibly useful for identifying North American shorebirds so I thought I would review it here. By simply focusing on those characters that are least variable and most visible in the field, not only will your identifications become more accurate, but you’ll also identify a higher percentage of what you see. The book, with almost 500 pages, is divided into two sections, Species Photos (with full captions and range maps) and Species Accounts. 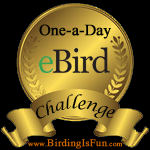 The Species Photos section is further subdivided into “Domestic Species” (48 of them) and “Rarities and Regional Specialties” (44 rare, regional, or “accidental” species, including hybrids and aberrant species). 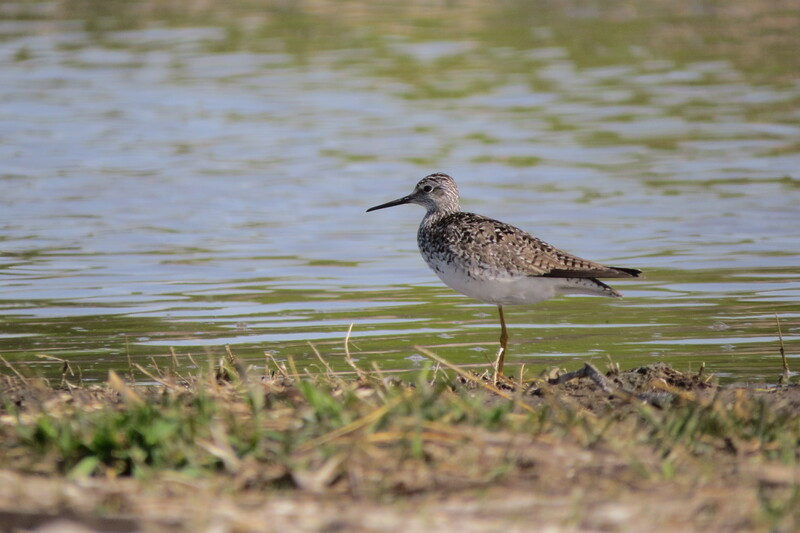 Altogether the guide includes more than 850 color photographs of shorebirds — in flight, in mixed flocks, displaying a variety of behaviors, and differences in plumages — by Richard Crossley and Kevin Karlson, as well as Mike Danzenbaker, Arthur Morris, and others. 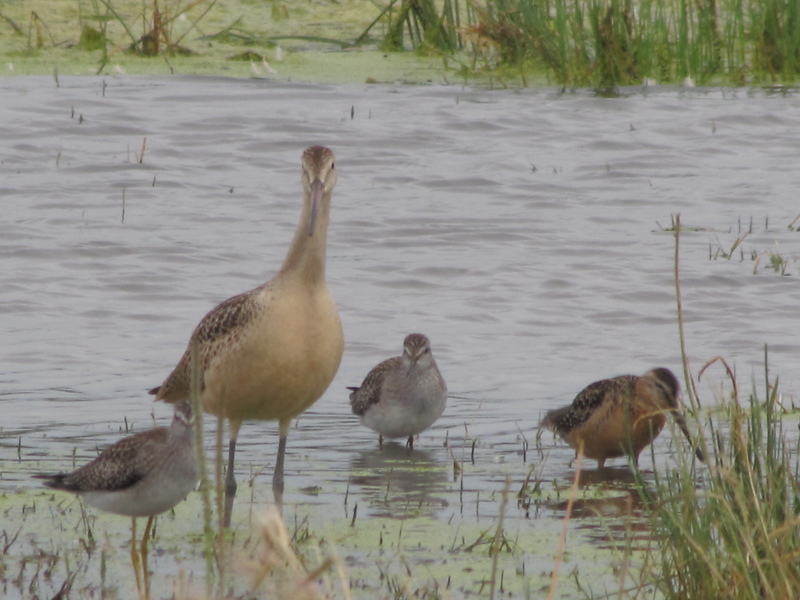 Each North American species account includes information on status, behavior, size, structure, and a range map. 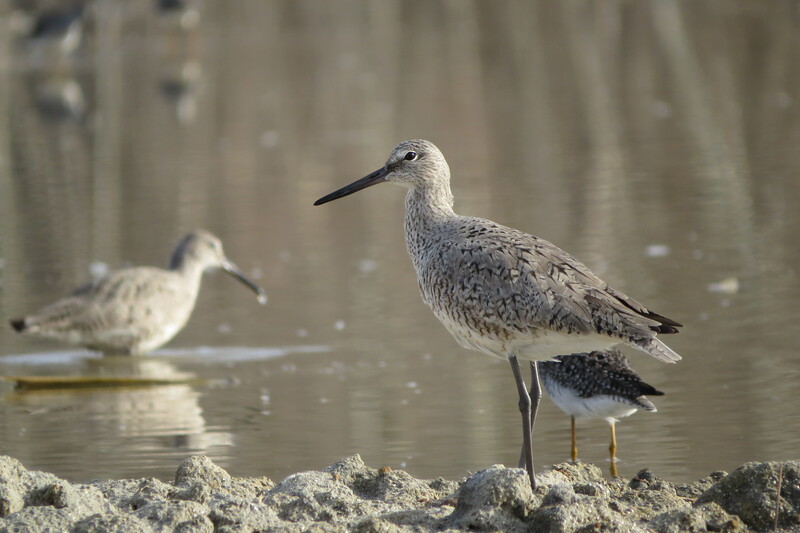 Many species have more than four pages of photographs of shorebirds in different stages of molt, close-ups, in flight, and from a distance. The other 44 species accounts don’t have range maps, and these species (the rare, regional, or accidental) aren’t covered as thoroughly. 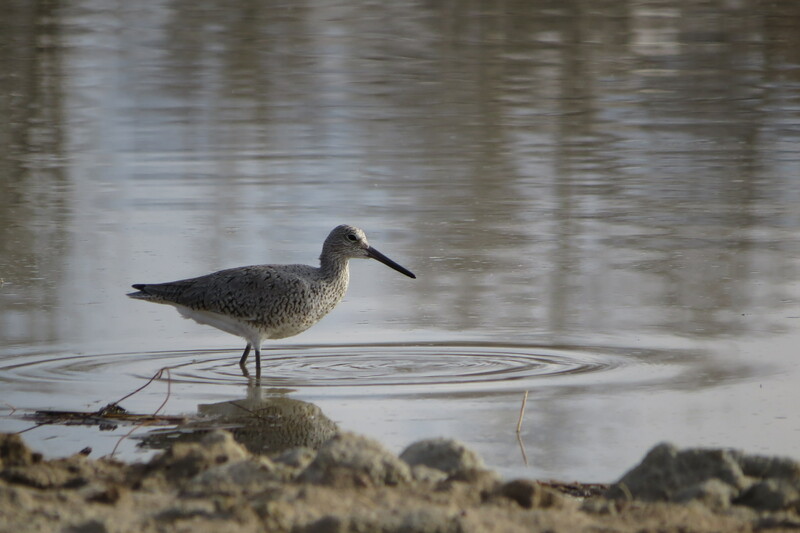 And, for some species such as the Whimbrel and the Willet, the guide demonstrates how to distinguish each subspecies. One of the features of the book I really like and will no doubt find useful for a long time is the last page featuring 47 silhouettes by Michael O’Brien of the domestic shorebird species (all but the American Woodcock). You can test your knowledge on the species, and the answers are found on the page listed beneath the silhouette. 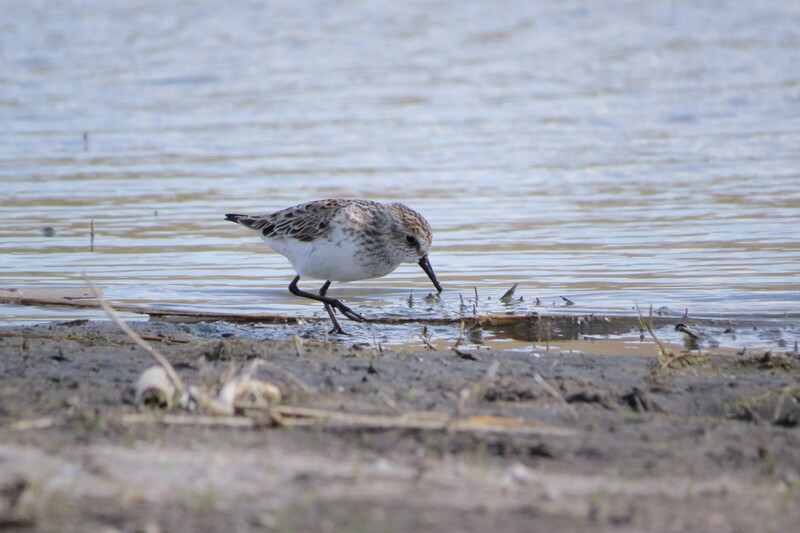 Now that I have a scope, I’ll be able to get better looks at local shorebirds, and this guide will help me identify them much more easily. The guide is comprehensive and the pictures are beautiful and clear, so it’s a great book for both beginning and advanced birders. With all the pages and photographic plates, it’s a pretty heavy book to carry around in the field, but definitely deserves a place in your backpack or bag if you know you’re going to need help at the shore. I highly recommend this field guide! You can buy it from your favorite bookseller or Amazon.com. 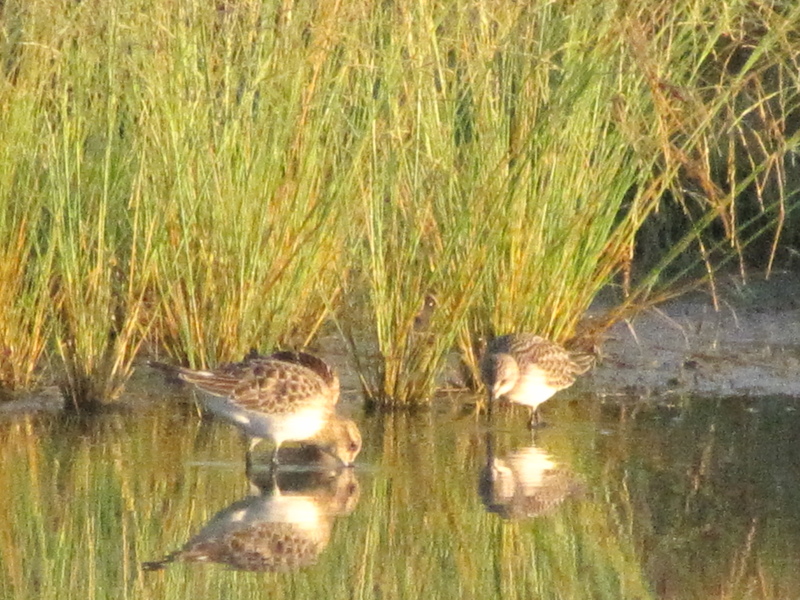 I went out this morning at 6 am to look for some new birds at the lake behind our house. 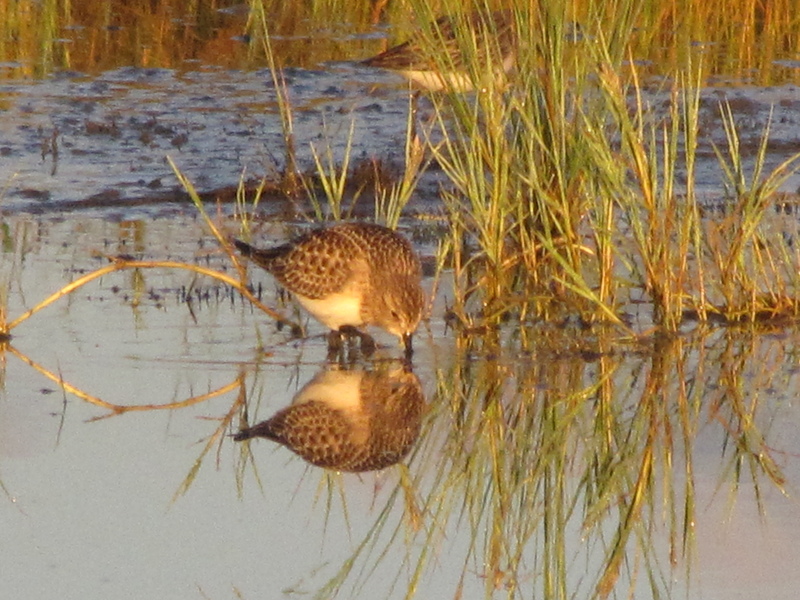 I was able to find four species of shorebirds: two Short-billed Dowitchers, five Solitary Sandpipers, and one Willet. 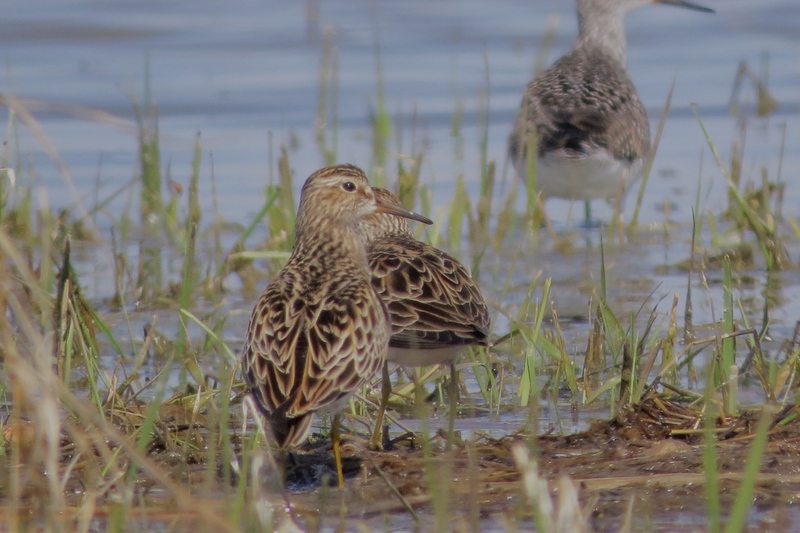 The most exciting birds were about 30 Semipalmated Sandpipers, because that is sandpiper a life bird for me. I didn’t get as many photos as I would have liked, but the light was pretty bad so early in the morning that there was no point in taking too many pictures. 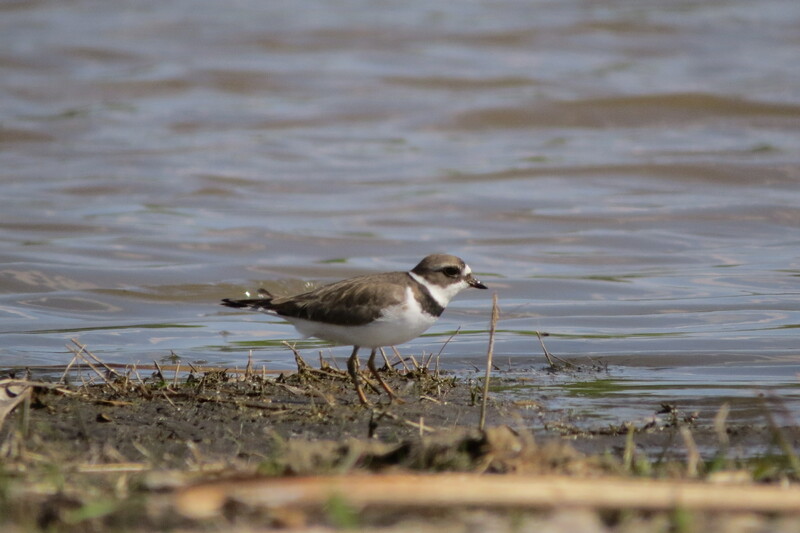 I went out yesterday evening to the water across the road in a neighbor’s pasture, to see if I could track down and identify any shorebirds, which are starting to migrate. 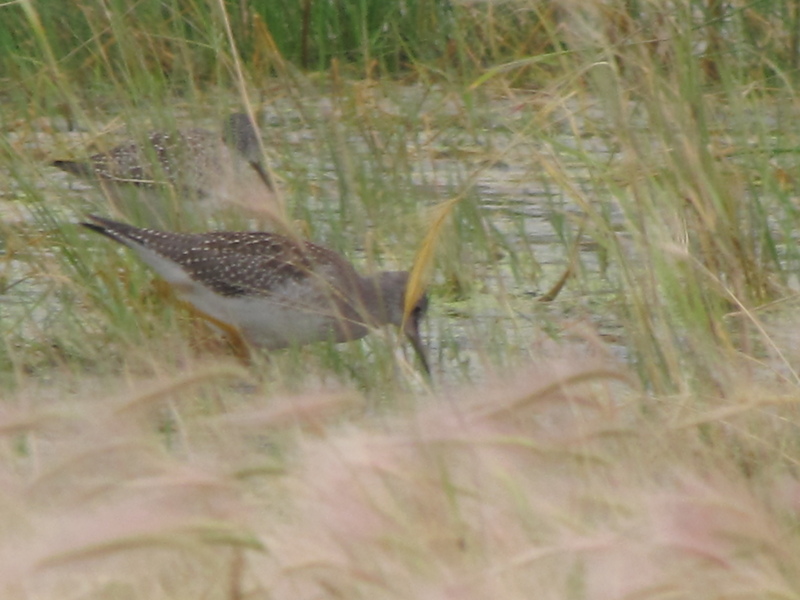 After a while I found three species, though my finds were not what most would consider very worthwhile. 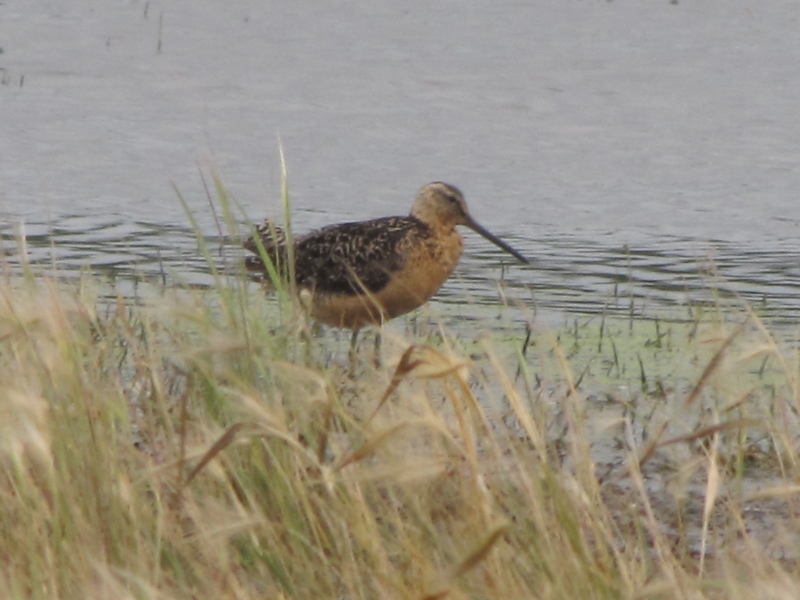 Even though I have seen the Lesser Yellowlegs and the Marbled Godwit before, I was very happy with my sighting and the photo opportunities.